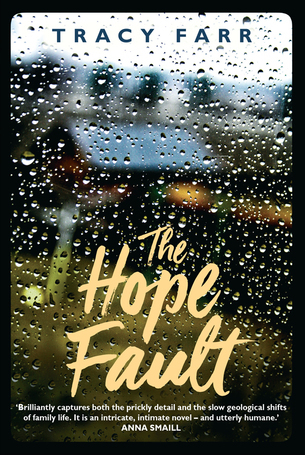 Lou Heinrich reviewed The Hope Fault for Books+Publishing in February, ahead of the novel’s publication on 1 March 2017. [The Hope Fault] echoes the thoughtfulness of Jessie Cole’s Deeper Water, with its literary reflection on the geography of family, and the way domestic life can be invaded and divided. A gentle anxiety underlines the air of contentment, as Iris meditates on the mystery of teenagers, and feels deep gratitude when they have the courage to reveal their inner selves. With its forgiving examination of relationships, The Hope Fault is a book for parents and unconventional families. It’s really pleasing to me to see Jessie Cole’s beautiful second novel name-checked. Perhaps those conversations Jessie and I had when we shared time at Varuna in 2015, while I was writing The Hope Fault, had even more impact than I knew!